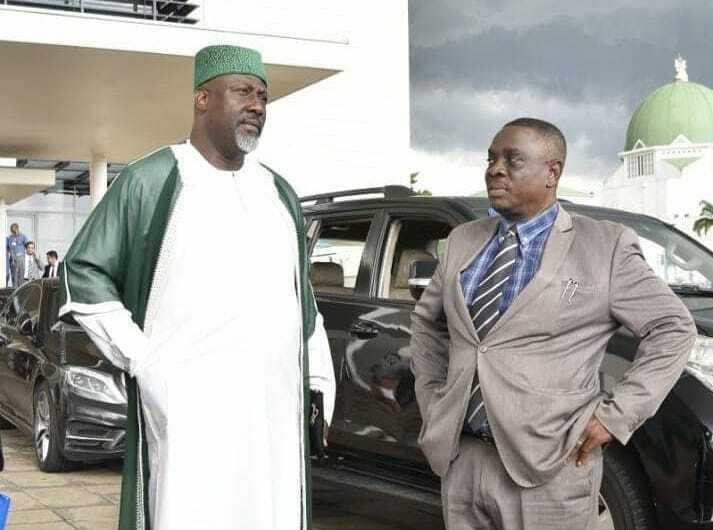 Melaye made this allegation Monday while chatting with newsmen in his country home, Aiyetoro. The senator also alleged that the governor”s plan was to stop him from campaigning for his reelection in next year general election. However, governor Yahaya Bello has described the allegation as a blatant lie and arrant noise aimed at drawing unnecessary attention to him and urged the Senator to leave him out of his problems. Speaking with newsmen yesterday on the recent invasion of his house at Ayetoro-Gbede some days ago by some security agents, he said that the governor has instructed the security agents in the state to arrest him whenever he visited the state. He noted that the plan of the governor was to keep him away from the state so that he will not be able to campaign for his reelection. “The governor wants me out of circulation, he doesn’t want me around to campaign for my reelection. Information reaching me is that he wants me to be arrested, arraigned by a Kangaroo court, locked up and then I wouldn’t be able to campaign. “I was in Koton-Karfe where I had a meeting in the residence of Musa Ahmodu former SSG, I was also in Gegu where I had a meeting. Only for my house to be invaded at 1.00am, thank God that I had an Intent that they were coming, if not they were to come and kill me. They opened fire on my car spraying it with bullets, if not for the bulletproof and the grace of God but they have turned around to say that I sponsored hoodlums to attack policemen who were on duty. Mean while, governor Bello urged the embattled Senator representing Kogi West to face his problems with the Nigerian Police and stop “hanging them on innocent people”.